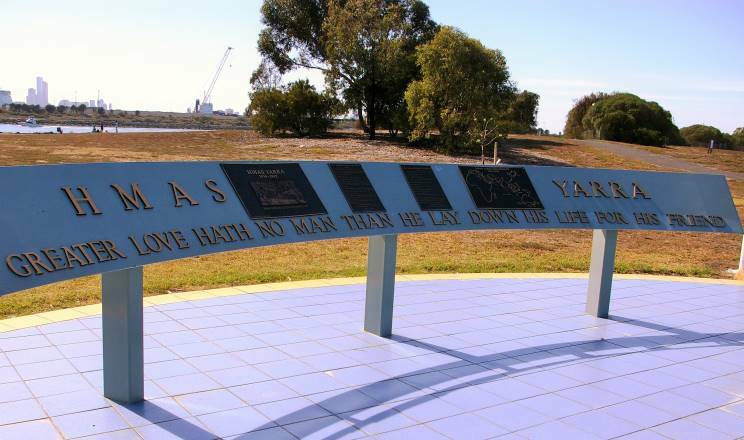 The HMAS Yarra memorial, located in Newport Park at the mount of the Yarra river in Williamstown, Victoria, Australia. 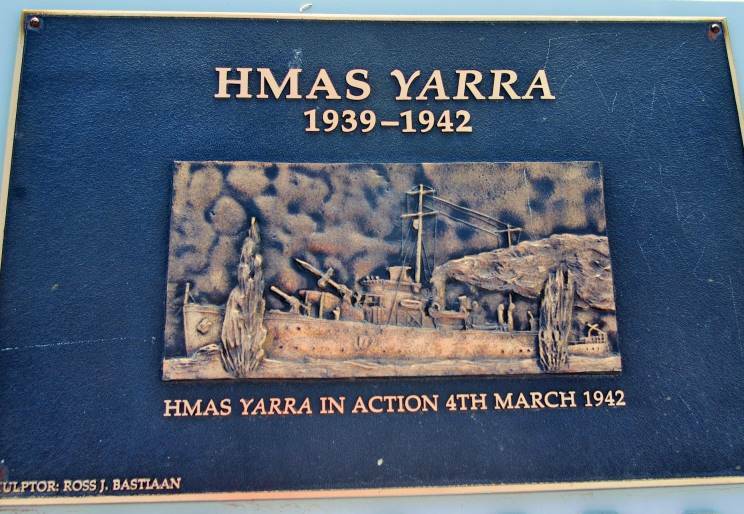 The memoir al is dedicated to the crew of HMAS Yarra, which was sunk by Imperial Japanese Navy warships on March 4, 1942 in the Java Sea. 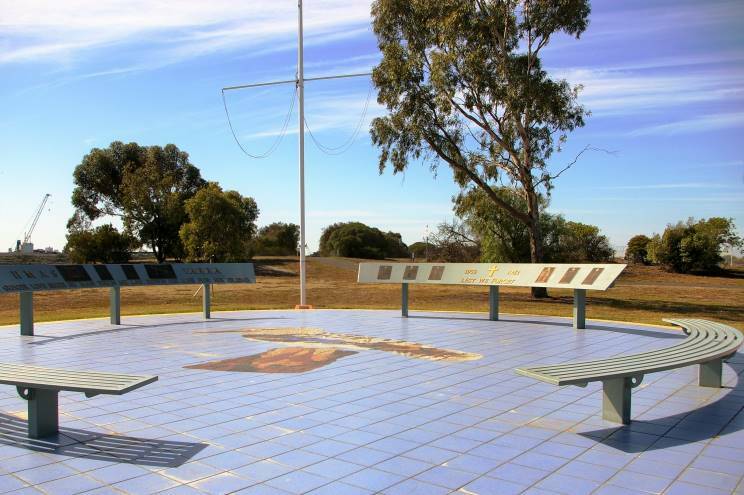 The memorial was dedicated on Nov. 12, 2000 and includes a number of plaques which give the ship's story, the names of those who were lost and the thirteen survivors. 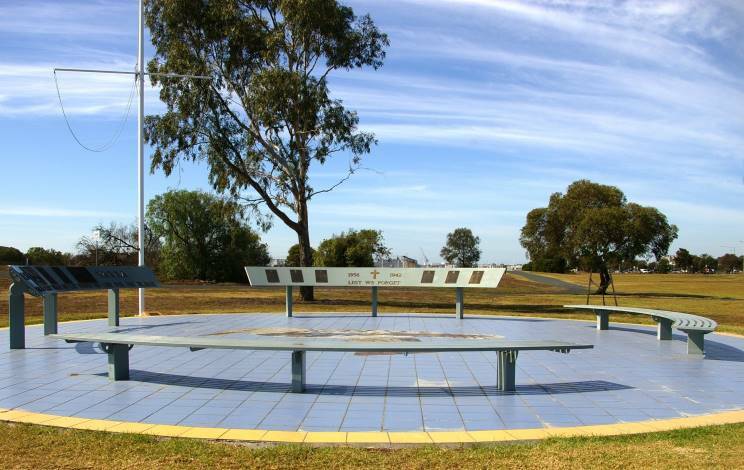 Another view of the HMAS Yarra Memorial. 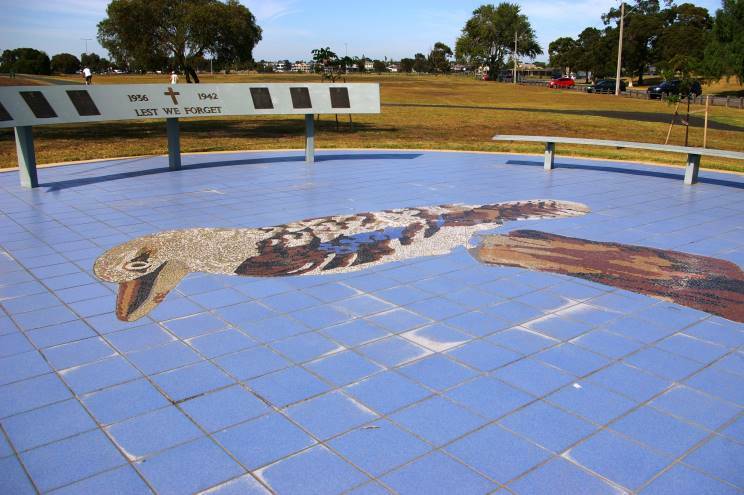 Another view of the HMAS Yarra Memorial, this shows the Kookaburra, the symbol of the ship and the State of Victoria. 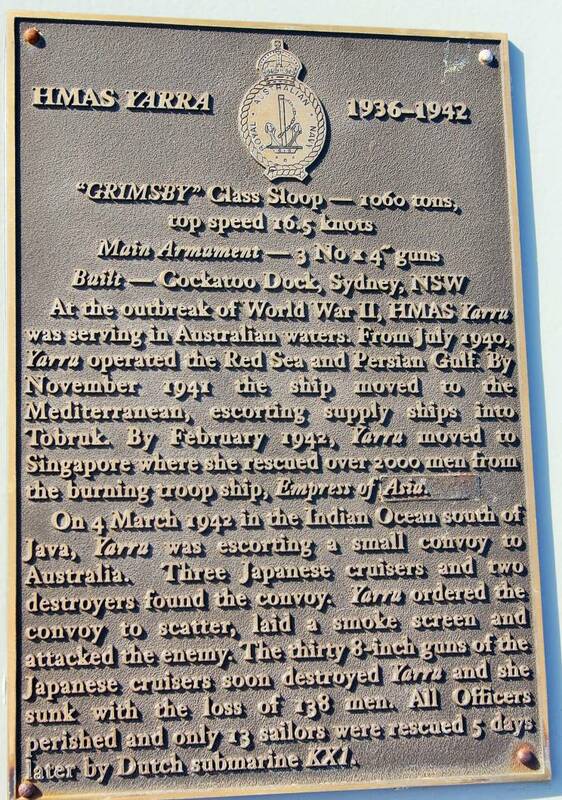 The story of HMAS Yarra. 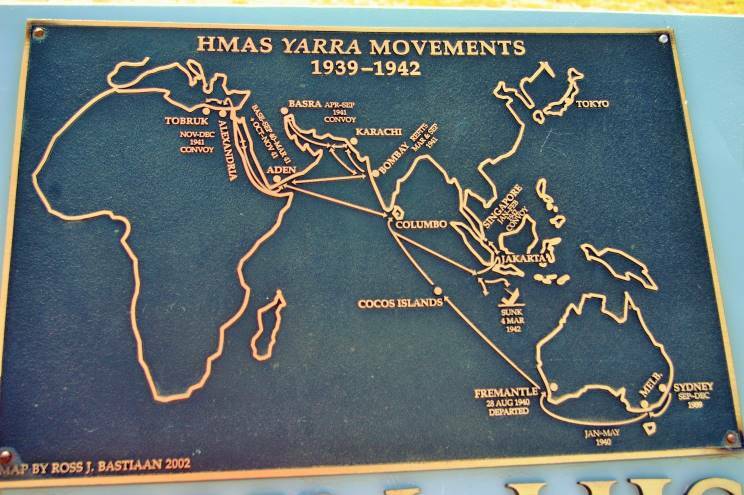 Plaque showing the movements of HMAS Yarra. 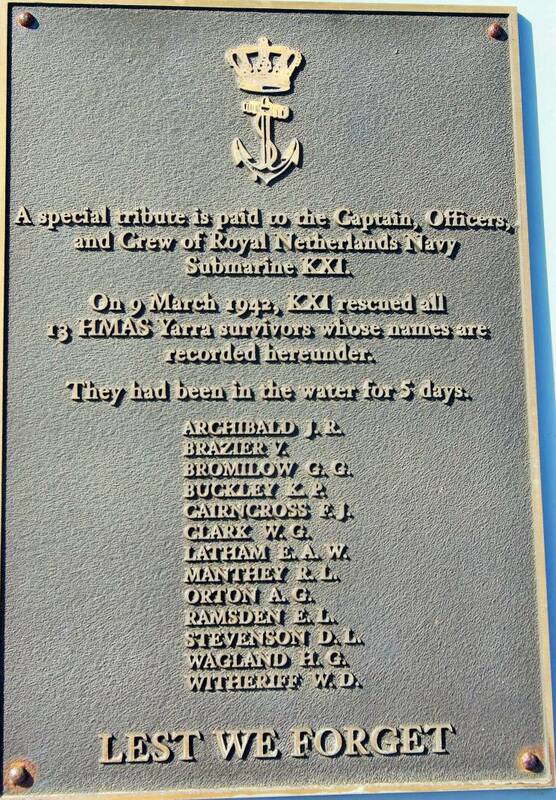 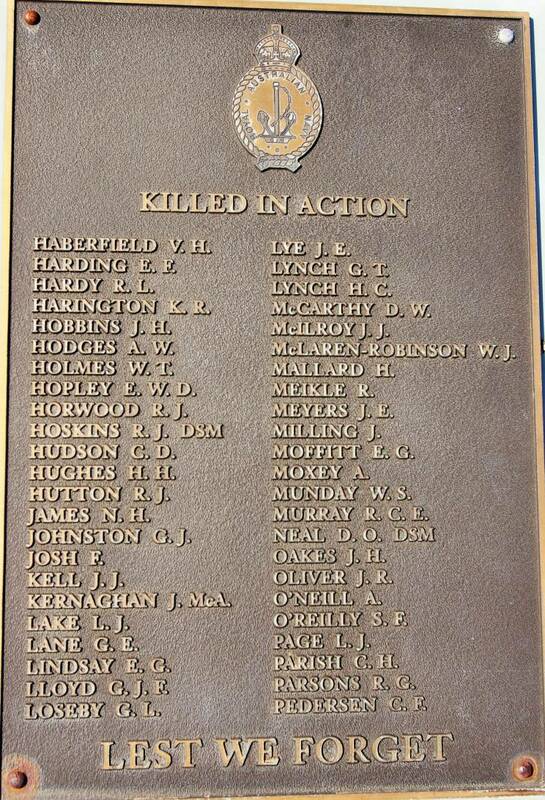 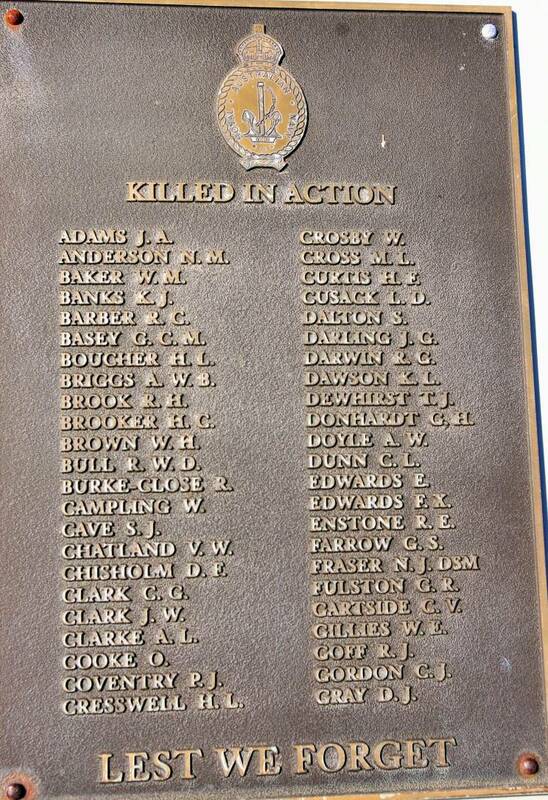 Tribute plaque to the crew of HNLMS K-XI and HMAS Yarra's survivors. 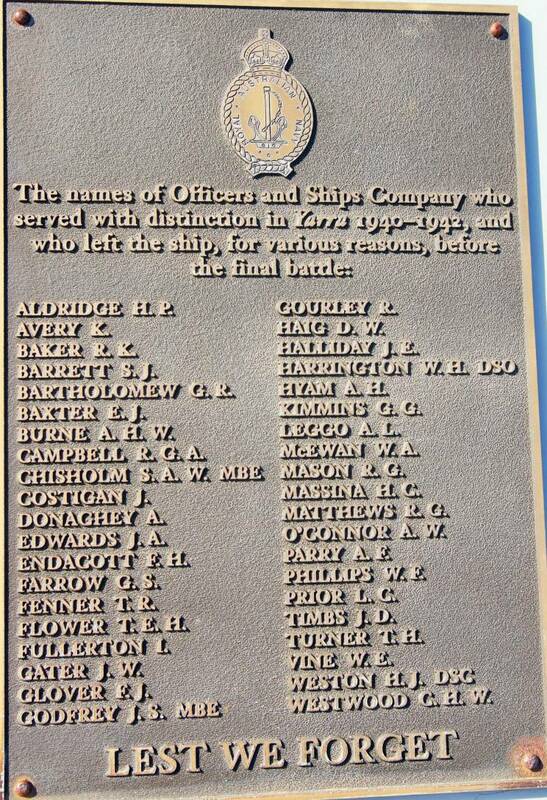 Memorial plaque listing the officers of HMAS Yarra. 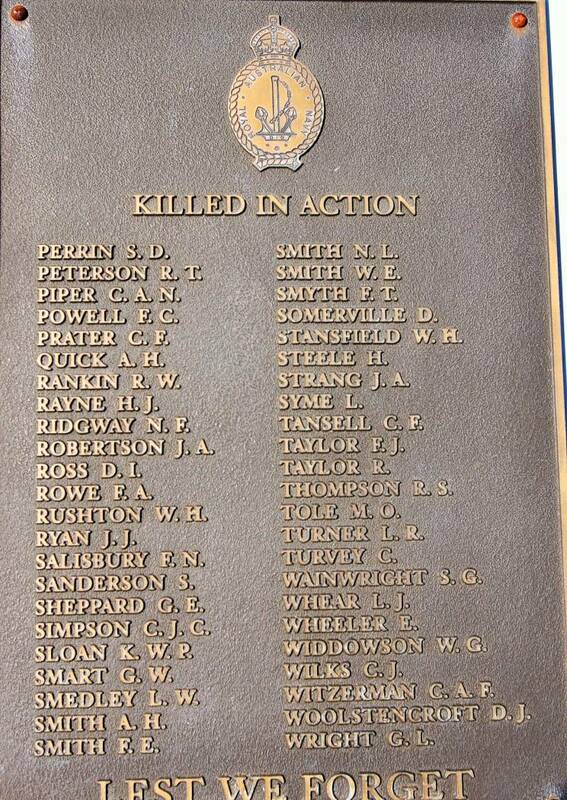 Memorial plaque listing the names of the ratings lost in HMAS Yarra.